Sometimes, I just paint for fun! Yes, most people know my work for its color and playful abstractions. Sometimes, though, I just paint for fun. 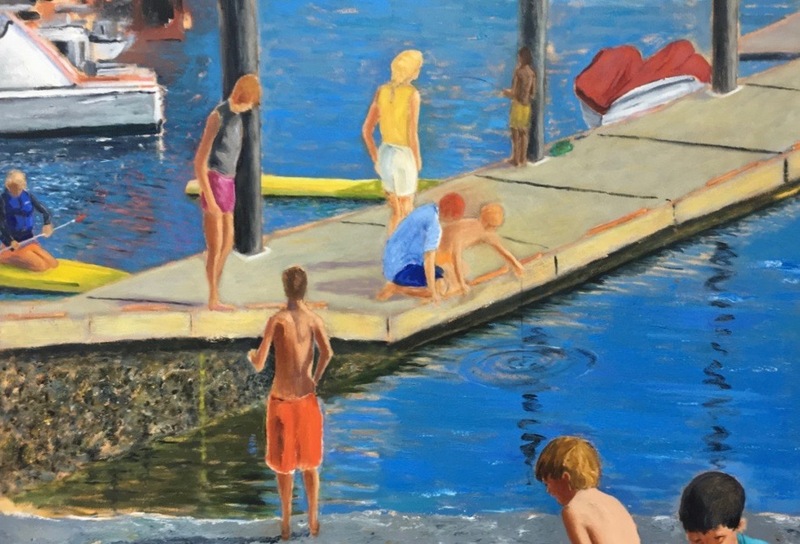 This work was inspired by a summer day in Gig Harbor, Washington. It is 36×48, acrylic on canvas. And yes, it is available at the studio sale.